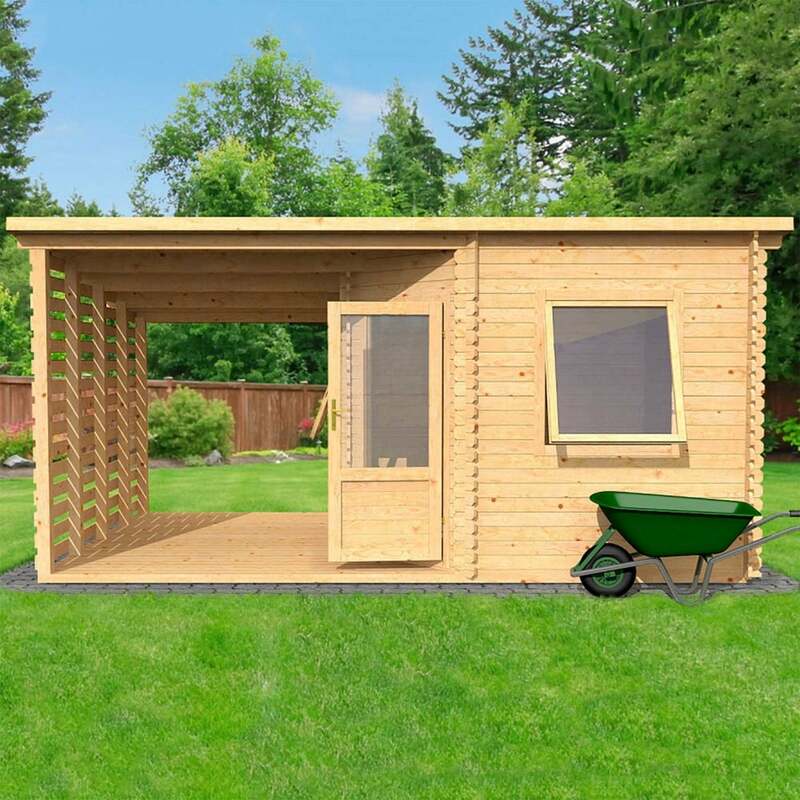 Mercia 5.0m x 3.0m Corner Cabin with Veranda: The 5.0m x 3.0m Corner Cabin with Veranda is a versatile and unique garden building, combining both additional living area and a covered seating area. The Mercia timber building is designed to make the most of the garden, offering ample space for relaxing and entertaining friends and family. The interior of the Corner Cabin provides a large space perfect for a studio, gym or home office, the exterior features a covered veranda for outdoor furniture and alfresco dining in the summer months. The Mercia 5.0m x 3.0m Corner Cabin features a half glazed single door with a lock and key to keep the garden room secure when not in use. The outdoor cabin uses 19mm tongue and groove for the roof and floor and also includes two opening safety glass windows available in single or double glazed.